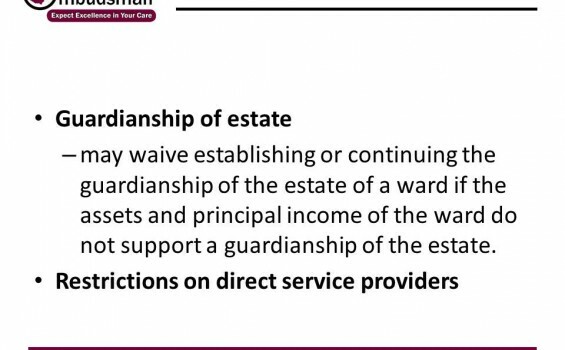 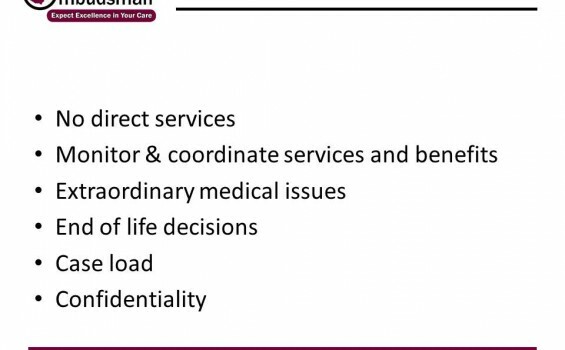 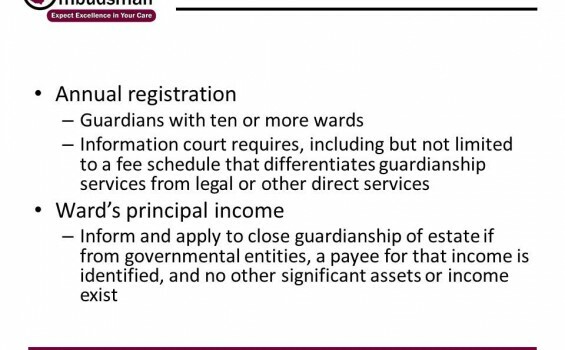 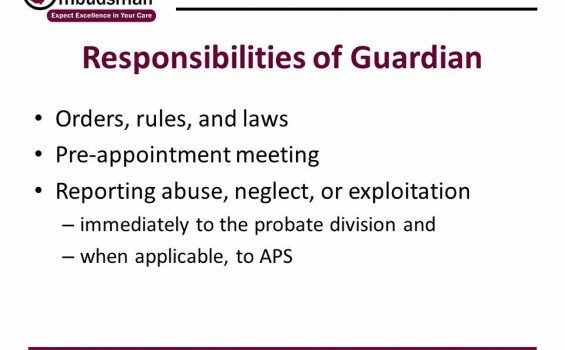 The links below includes some great information concerning guardianship. 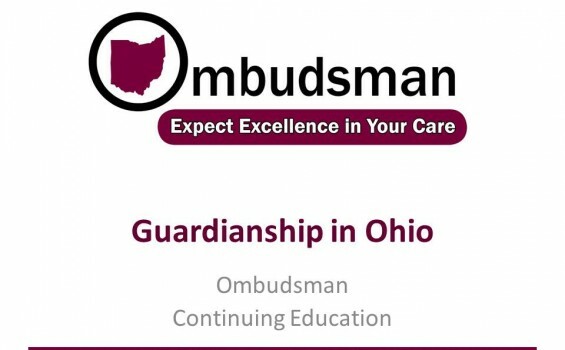 SCO Adult Guardianship Training Brochure – All Ohio Guardians of adults are required to participate in this educational training, according to the Rules of Superintendence for the Courts of Ohio 66.06 and 66.07: a one-time six-hour fundamentals course and a three-hour continuing education course for each following year. 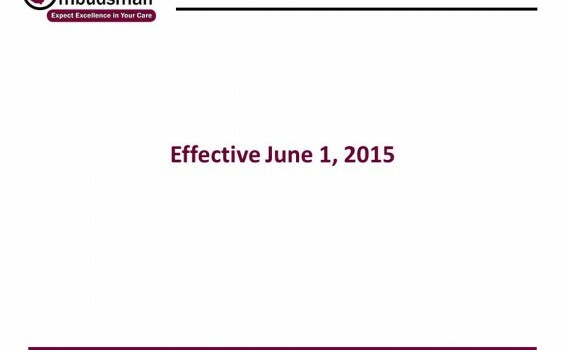 This brochure shows different options to fulfill the requirements for this training. 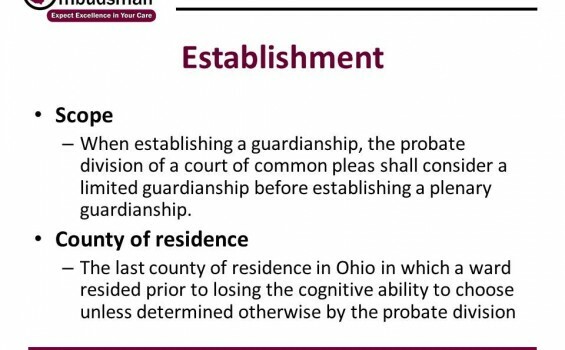 Location and Dates announced for training session required under new Ohio Guardianship Rules. 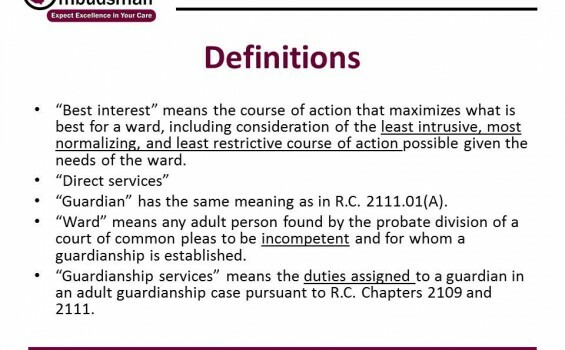 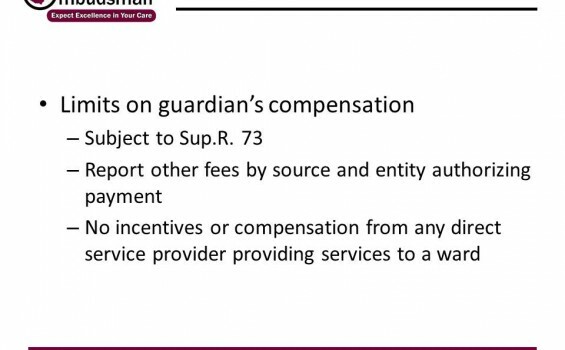 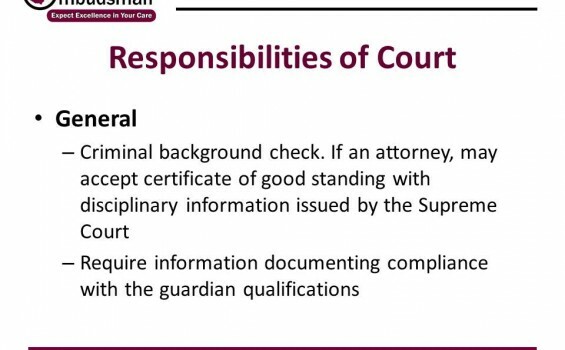 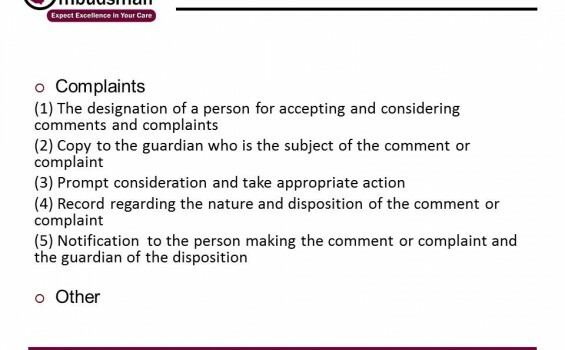 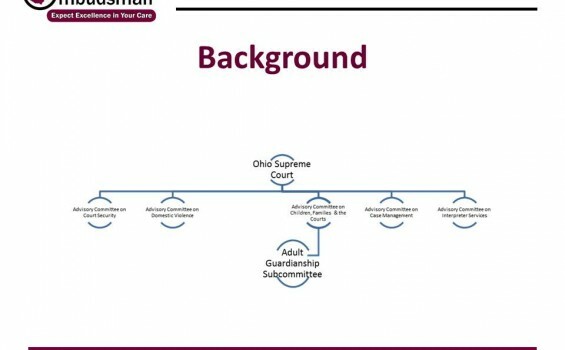 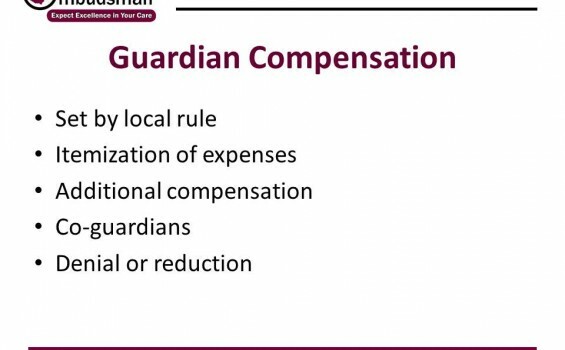 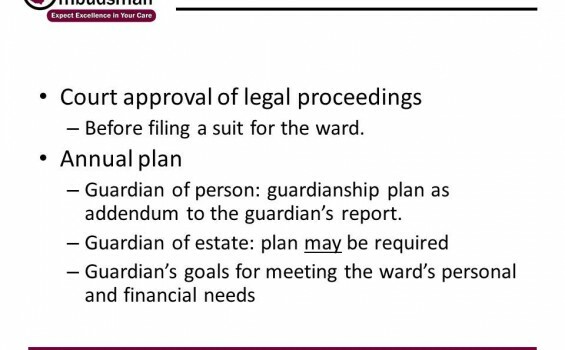 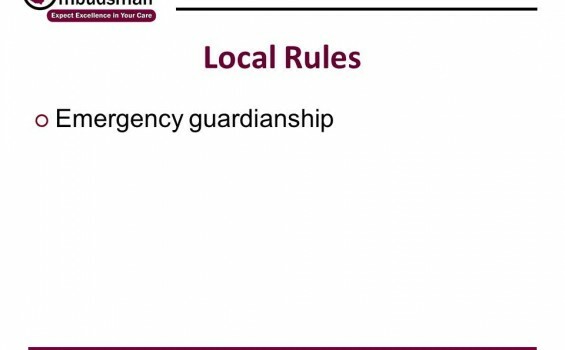 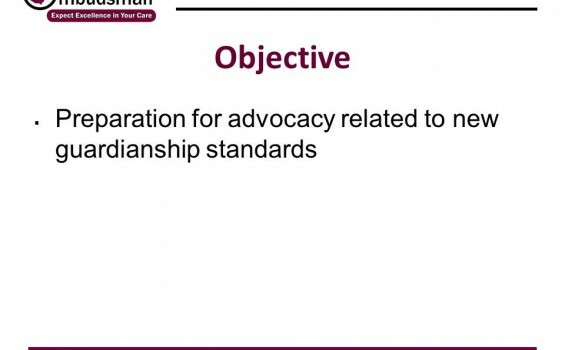 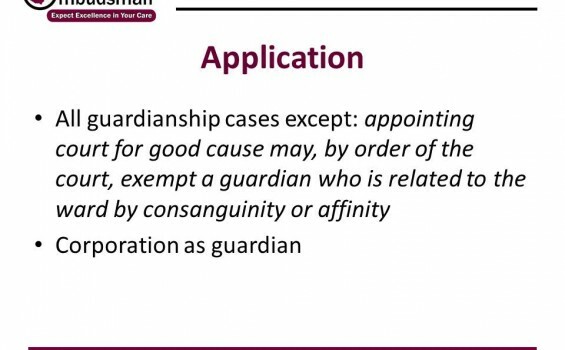 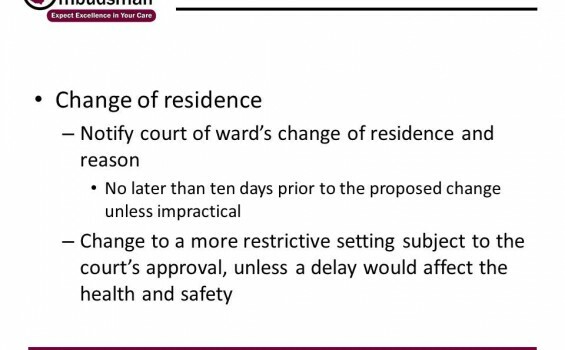 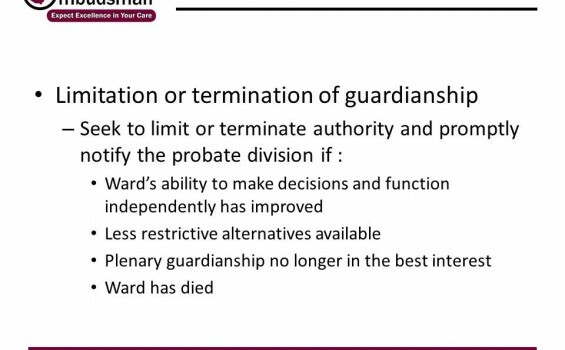 Under rule changes from the Ohio Supreme Court that took effect June 1, any person or entity that has been designated as a guardian to an adult in Ohio must attend a six-hour training course on the fundamentals of guardianship. 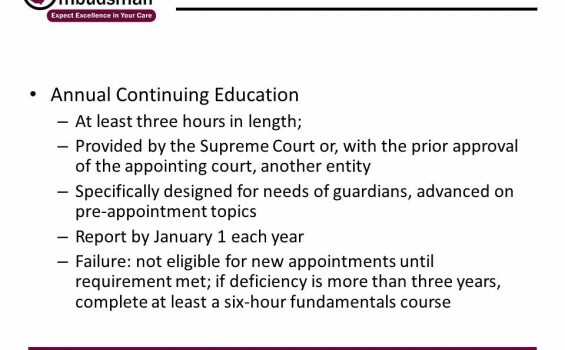 These courses are being offered free of charge by the Supreme Court of Ohio’s Judicial College starting in late June. 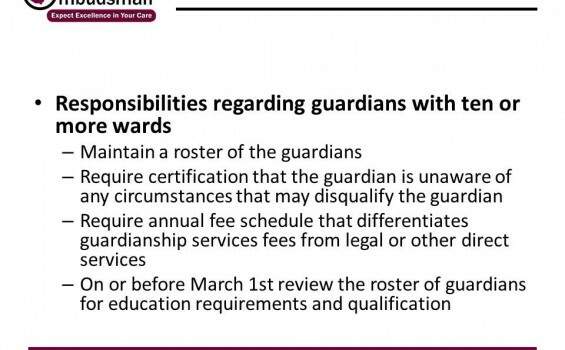 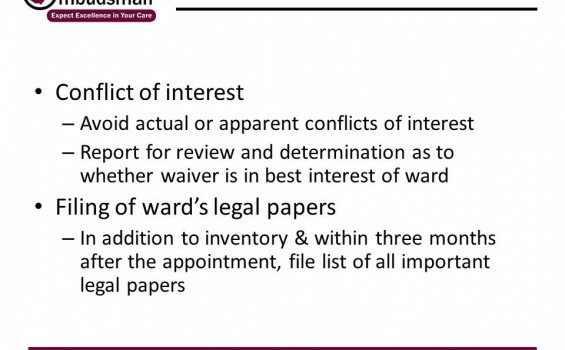 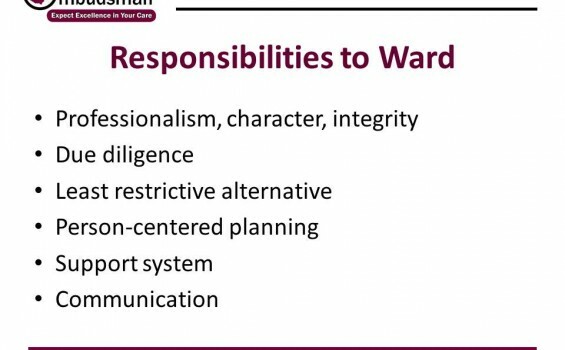 All guardians appointed prior to June 1 have one year to complete the introductory training. 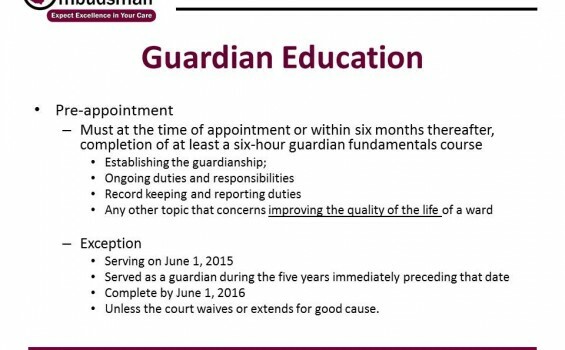 Guardians appointed after June 1 have six months to complete their training. 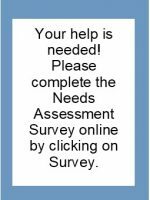 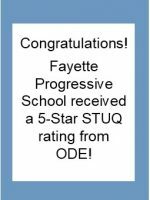 Click Here for more information about the trainings, including course contents, session dates and locations, and registration forms.